The Chief of Army Staff, Lt-General Kenneth Minimah is leading the investigation of 9 Generals and Senior Military Officers accused of selling arms to Boko Haram. It is also alleged that the Generals gave Boko Haram tips on troops’ movement, operations and were involved in illegal movement of weapons from the Nigerian Army armouries in various northern states. Senior Military sources confirmed that during interrogation Boko Haram suspects named the Generals and senior officers as their arms suppliers. The Army’s investigation was prompted by loud accusations from independent foreign media and strong evidence provided by US/EU military intelligence sources that top Nigerian military chiefs were colluding with Boko Haram resulting in the terrorists gaining rapid offensive capability and upper hand over frontline troops. Meanwhile, facts emerging from the Nigerian Army Headquarters in Abuja yesterday indicated that the soldiers who fired at the vehicle of the General Officer Commanding 7 Division of the Nigerian Army in Maiduguri, Major-General Ahmed Abdullahi, will be court-martialed this weekend. It was learnt that a preliminary investigation had been concluded and the military high command was set to try the soldiers. The investigation has already established the identity of the soldiers involved, and the extent of their involvement in the alleged mutiny. If they are found guilty of the alleged offences, they may be dismissed and jailed, while those with little involvement may be demoted. It was also learnt that soldiers have been complaining about poor welfare, low morale, poor strategy, poor equipment and poor leadership, and that the Wednesday’s incident followed a forced overnight trip that some soldiers were made to take, which led to 12 deaths in the hands of Boko Haram who had laid an ambush for the troops. The former GOC had instituted an inquiry himself, but he was overruled from Abuja and a new inquiry was set up instead. Military sources had claimed that there was a growing “disloyalty” and “indiscipline” on the Borno war front and therefore such insubordination must be checked to prevent a breakdown of order. “We want to send a strong message to would-be mutineers,” the source said. The attacked GOC, General Abdullahi, escaped unhurt in the incident and has since been redeployed for his own safety, because of the hostility of the soldiers. 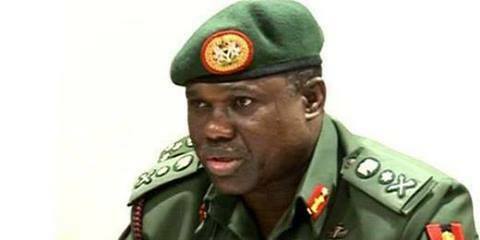 The new GOC is Brigadier M.Y Ibrahim, who becomes the fourth commander since the creation of the 7 Division last year. Major-General Obida Ethan was first, before Major-General Unsaid Bindawa and then General Mohammed. 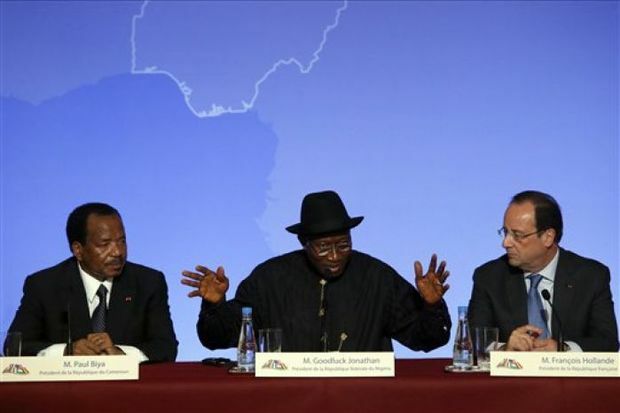 The Paris Summit on Boko Haram held yesterday in the French capital and had in attendance the Presidents of France, Nigeria, Cameroun, Chad and Niger. Reports have it that the summit agreed on a number of initiatives to curtail the excesses of the insurgents and as well mobilize funds in support of women and girls in marginalized areas. A communiqué issued after the meeting further said that countries are to establish an intelligence-pooling unit, create a dedicated team to identify means of implementation and draw up, during a second phase, a regional counterterrorism strategy in the framework of the Lake Chad Basin Commission. France, US, Britain and the European Union pledged to mobilize donors in support of programmes fostering social economic development of the regions concerned with particular emphasis on gender equality and the rights of women and girls. The participants agreed that the United Kingdom would host a follow up meeting next month at ministerial level to review progress on this action plan. They have agreed to institute sanctions against Boko Haram and Ansaru within the framework of the United Nations. It came as President Goodluck Ebele Jonathan explained that it was not necessary for him to visit Chibok, Borno State where over 200 girls were abducted in Government Girls Secondary School because the girls were not in the School, noting that his interest was to locate and rescue the girls. At the end of the summit presided over by the French President, Nigeria and its neighbours, agreed to build analysis and response capabilities that will contribute to enhancing the security of all populations and the rule of law in the areas affected by Boko Haram’s terrorist acts. In order to combat the insurgents’ threat “which manifested itself through several murderous attacks and the abduction of more than 270 school girls, Nigeria and its neighbours have decided to immediately on a bilateral basis implement coordinated patrols with the aim of combating Boko Haram and locating the Chibok girls. They are also to establish a system to pool intelligence in order to support this operation, establish mechanisms for information exchange on trafficking of weapons and bolster measures to secure weapons stockpiles while also establishing mechanism for border surveillance. Indications emerged yesterday that the 276 female students abducted by Boko Haram terrorists from the Government Girls’ Secondary School (GGSS), Chibok, Borno State, have been sited at the Sambisa Forest in Borno State, by the Special Forces of the United States Marines. The girls, who were abducted on April 14, were part of the 250 students boarded at the School for the West African School Certificate, WASC/ Senior Secondary School Certificate (SSSC) examinations, triggering world-wide condemnations. The UK team had earlier arrived in Abuja to support the Federal Government of Nigerian in its response to the abduction of over 200 school girls. The arrival of the foreign troops is coming on the heels of the appeal yesterday by the former Vice President, Atiku Abubakar for Nigerians to unite and fight the insurgents to achieve success. The CNN also quoted the U.S. Navy Rear Admiral, John Kirby, who serves as Pentagon press secretary, as saying that the small team of seven would join advisers supporting local efforts to find the girls abducted over three weeks ago. Kerry said the US team, working with the Nigerian government, would do everything possible to free the girls and everything possible to stop the atrocities of Boko Haram. 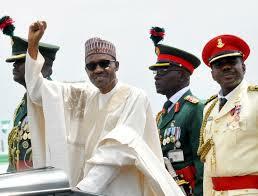 “We are also going to do everything possible to counter the menace of Boko Haram. The entire world should not only be condemning this outrage but should be doing everything possible to help Nigeria in the days ahead,” he added. But there are no plans to send American combat troops into Nigeria, Mr. Kirby said. The abduction of the school girls on April 14 in a remote community in Borno State, one of the most shocking terrorist acts by Boko Haram yet, has drawn widespread anger around the world with calls for a swift action. President Goodluck Ebele Jonathan said Thursday that the kidnapping will be “the beginning of end” of Boko Haram. The US President Obama has said he hopes the abduction by Boko Haram will galvanize the international community to act against the brutal group that has directed much of its cruelty on civilians and the innocent. This week alone, more than 100 people were killed in a busy market by militants suspected to be from the group. The attack occurred in Gamboru Ngala, Borno State, near the Nigerian border with Cameroun. Besides the United States, Britain, France and China have also offered to help rescue the stolen girls. Obama said the team sent to Nigeria comprised personnel from military, law enforcement and other agencies. France said it will station 3,000 troops in Nigeria’s neighbouring countries to help fight militants in the Sahel region. British satellites and advanced tracking capabilities also will be used, and China has promised to provide any intelligence gathered by its satellite network. Meanwhile, a statement yesterday by the Foreign and Commonwealth Office spokesperson said, “A team of UK experts who will advise and support the Nigerian authorities in its response to the abduction of over 200 school girls touched down in Abuja, Nigeria this morning”. The team is drawn from across government, including DfID, FCO and the MoD, and will work with the Nigerian authorities leading on the abductions and terrorism in Nigeria. The team will be considering not just the recent incidents but also longer-term counter-terrorism solutions to prevent such attacks in the future and defeat Boko Haram. The team will be working closely with their US counterparts and others to coordinate efforts. The military sources said that apart from abducting the girls, the insurgents also carted away food items and vehicles as well as killing undisclosed number of people in Chibok on the fateful night. In Abuja, the sources disclose that members of the United States Marines who are already in Maiduguri following the promise by President Barak Obama to assist Nigeria in rescuing the abducted girls, located the girls inside the forest, using some Satellite equipment which combed the forest, located an assembly of the young girls and sent the images back to the Marines on ground in Maiduguri. Apart from locating the whereabouts of the girls in the dense forest, it was also gathered that one of the leaders of the terrorist group who participated in the abduction of the girls has been arrested by a combined team of the US Marines and Nigerian forces. Sources said that the Boko Haram leader was arrested, through advanced interceptor equipment which was used to track the terrorist while exchanging information with his colleagues in Sambisa Forest about the movements of American and Nigerian soldiers in Maiduguri. The girls are still in Sambisa Forest contrary to widespread reports that they had been distributed and ferried to the Nigerian border towns in Cameroon Chad and Niger Republic. Senator Ahmed Zanna, representing Borno Central District in whose Maiduguri home, an alleged Boko Haram top commander was once arrested told the Senate last week that he gave the Military up-to-date information on how the girls could be rescued, but lamented that his information was largely ignored. He spoke against the backdrop of the claim by the Boko Haram leader, Sheik Abubakar Shekau, last week that the girls were booties of war, who would be sold into slavery. The arrival of the foreign military officials is coming on the heels of the appeal yesterday by the former Vice President, Atiku Abubakar on Nigerians to unite and fight the insurgents. Atiku said that Nigeria had reached a turning point in the war against terrorism, asking the people irrespective of class, status, religion or party affiliation to unite to ensure victory over evil. Atiku wrote in his blog, “While I have had and continue to have major policy differences with the government in Abuja and its leadership, as a nation we must remain united. ”We have come to a turning point in our war against terrorism in Nigeria. It is a critical moment for us; the war will not be won without us winning this battle. In short, if one is not part of the solution, they become part of the problem. ”And at a moment like this, we can no longer afford anything but a united commitment to stamping out a great evil that threatens the very existence of the only place we call home. ”On social media, I have been amazed by the outpouring of solidarity from within and outside Nigeria. While on the one hand it is sad to see Nigeria in the news for its inability to protect its most vulnerable citizens, it is also clear that in the age of social media no concerns or problems are local. ”It is in light of this that I welcome the offer of military support from the United States, United Kingdom, France and others, and the acceptance by the Nigerian government. While I believe that we waited too long to get to this point of admitting our need for external help, I will also insist that it’s better late than never. ”We must make it clear that under no circumstances should any person, group of persons, or organization ever be permitted to prey on the children of Nigeria, or any other country. We must make it easy for everyone who has information about this crime against humanity to contact the authorities at once. ”We must make it easy for the innocent population of the affected areas to see the Nigerian military and authorities as friends, not enemies. We must make it easy for our soldiers to be loyal and committed to this great and difficult task ahead of them. ”We must make it easy for the world to see Nigeria as a country that cares for all its citizens, regardless of their age, gender, religion, ethnic group or economic class. We must remember the people most affected, trapped on the frontlines of the battle. “They need support, relief and rehabilitation. ”We must remember they will need help when they are returned home to their families and their loved ones. And we must make it difficult for anyone to play politics with this crisis. In a related development, the Lagos State Police Command said yesterday that the rumour about activities of Boko Haram members in some parts of the state was false. The Public Relations Officer, PRO, of the Lagos State Police Command, DSP Ngozi Braide, made this known at a news conference yesterday, at Premier College Group of Schools, Palm Avenue, Mushin, where the sect members allegedly invaded. “Premier College and other schools in the state are safe and secure; let the public discountenance the rumour”, she said. There are indications that with the confirmation that the girls are still within Nigerian territory, contrary to widespread reports that the girls have been distributed and ferried out, the original plan to storm Sambisa Forest which was put on hold, would now be activated. It is however not clear if and when the rescue operation would begin. In the same vein, the Nigerian Girl Guides Association (NGGA) has joined millions of Nigerians to express worry over the continued abduction of 234 female students and called on the Federal Government to ensure that the girls are rescued unhurt to re-unite with their families. The association, in a statement signed by its Chief Commissioner, Dame (Dr) Christie Toby also challenged on Nigerians to be security conscious and assist law enforcement agencies in fighting the enemies of the nation. “The NGGA joins all well-meaning people all over the world to express shock over the abduction of 234 innocent school girls in Borno State. “We are sad that up till this moment, these girls are still missing. The NGGA, being a female organisation, is especially concerned, and condemns such a heinous act. “We declare our support for these girls and their families and pray God to strengthen them in these trying times. We appreciate the fact that government is fighting terrorism in Nigeria, but we are appealing to President Jonathan to ensure that these girls are returned safely to their families so that they can continue with their education. “We also appeal to all security agencies and people of goodwill to support President Jonathan as they work to bring back our dear girls,” the statement added. An unconfirmed report reaching us from the Associated France Presse (AFP) indicates that two of the abducted Chibok Schoolgirls have died from snakebite, while twenty others are ill. The Associated Press quotes a Boko Haram intermediary who claims that two of the girls abducted from Government Girls Secondary School, Chibok, Borno State have died from snakebite. This news will come as a blow to the millions of Nigerians and people from around the world who have joined the #BringBackOurGirls Movement, demanding for the release of the schoolgirls in good condition. Yesterday, during the Presidential Media Chat, President Goodluck Ebele Jonathan had said that an encouraging bit of news so far is the fact that there has been no report of loss of lives. However this morning, the Boko Haram insurgents released a new video claiming credit for the kidnap and vowing to sell the girls off. A member of the sect also told the Associated Press that two of the girls have now died due to snakebite, while 20 others are ill. The Boko Haram member further said that the sect was ready to negotiate ransoms for the girls. The man, who claimed to be an Islamic scholar, also said that the Christians among the girls have been forced to convert to Islam. Mr. Aliyu Danyaro was excited when his 24-year-old daughter called him that she was on holiday and was visiting him in Abuja. As a good and caring father, he instructed his driver to go to the Nyanya Motor Park to pick his daughter who would arrive in a public bus from her school in Bauchi. But his joy was cut short following the May 1 Second Nyanya Bomb Blast that killed at least 19 people leaving 66 others injured. Danyaro’s daughter was among the dead. Mr. Danyaro sobbed uncontrollably as he told reporters that his daughter already dropped off at the Motor Park and was about to receive his driver’s call when the explosion happened. “She called me while she was on her way coming, so I instructed my driver to go and pick her. While he was coming to pick her up, he called but while she was about receiving the call, the bomb went off,” he revealed, weeping so much that he could not mention her name. Aliyu Danyaro also disclosed that his daughter was still alive when his driver got to her. He said the driver was prevented from carrying her by security officials who were there to maintain peace, thus leading to her death. “By the time my driver ran to carry her, she was still breathing but the police and army officials wouldn’t allow him to carry her and then she gave up the ghost,” he lamented. At the Asokoro hospital where Danyaro came to claim the corpse of his daughter, an injured person, Mr. Chijoke Njoku, explained how he survived the attack. Mr. Njoku said the Volkswagen vehicle that exploded was a few metres away from him. He said he had wanted to board the car, thinking it was a cab going to the Abuja city centre, when he noticed that there was nobody inside it. “The car that exploded was just some metres away from me. I wanted to board the car but I noticed there was no one inside so I moved back to where I was standing only to hear an explosion,” Mr. Njoku narrated. The survivor, who sustained a head injury, said he saw others on the floor with some of them bleeding profusely. “When I regained my consciousness, I saw so many people lying down, even the ‘aboki’ guy selling recharge card was down on the ground and bleeding from the head,” he explained. He also commended the emergency responders for their efforts in taking care of the bomb blast victims. “They have tried so much as regards the treatment, when the crowd was getting too much, they had to take others to other hospitals for treatment and care,” he said. Another victim, Obiora Anibuike, said he had just driven past the Nyanya Bridge looking at the scene of April 14 bomb blasts when he heard the explosion. 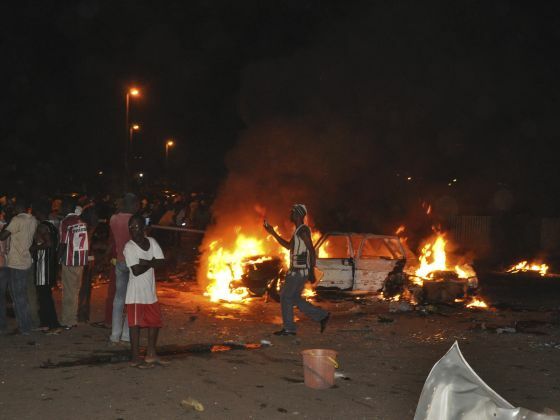 The April 14 explosion happened at the Nyanya Motor Park, a few metres from the scene of the May 1 blast; and over 75 people died from that incident. Probably cut by shrapnel from the explosion, Mr. Anuibuike said he could not describe how he sustained the injuries from inside his own vehicle. Mr. Anuibuike, who had just been discharged from the Asokoro hospital when reporters accosted him, sustained a deep cut on his head and ear. Although hospital officials declined comment, officials of the Abuja Health Administration explained that the Asokoro hospital, where many of the victims were rushed to, attended to as many victims as it could. Mr. Demola Onakonaiya, the Secretary of the Federal Capital Territory Health Secretariat, explained that the hospital was able to stabilize and transfer victims to other hospitals. “The hospital facility is not overwhelmed, what happened yesterday (May 1) is transfer; you transfer to a point and then you stabilize and then move to another hospital. “Yesterday there were about 28 patients here, then we moved five to Wuse and Maitama and six to National hospital and everything is under control,” Onakonaiya reiterated. He also encouraged the media to assist security agencies in the fight against terrorism by sensitizing the public on individual security measures. 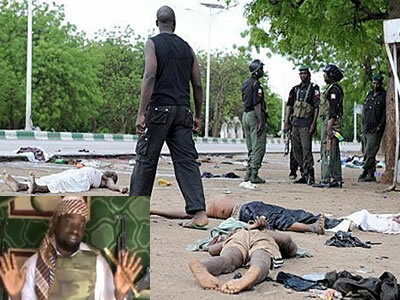 “We need the media people in this fight against terrorism, sensitize the public because this is just wickedness for people to wake up in their house and land in the hospital,” he advised. Although no group has claimed responsibility for the May Day, 2014 attack, the explosion is believed to have been carried out by the Boko Haram insurgents. The group claimed responsibility for the April 14, 2014 explosion, with its leader Abubakar Shekau saying they could carry out more attacks in the Nigerian capital. In recent times, information and communications technology have developed and changed dramatically. This is due largely to the advancement in digital technologies and platform development. The rise of the internet, gave rise to new methods of communicating, beginning with email and simple internet message boards. This has evolved into what we know today as social media – dynamic platforms in which users can interact in myriad ways across multiple devices. A few years ago, only a small percentage of Nigerians were using smartphones and even then these were limited in functionality. Fax machines were used and Facebook was not open to all till late 2006. Now the country is vastly different with over five million Nigerians using social media on a daily basis. Internationally, the advent of global communication has narrowed the gap between the north and south, and people are much more aware of what is taking place in all corners of the globe. People can communicate in real-time with others using text, audio and video content. Speaking in Lagos during the Social Media Week programme recently, Mr. Tom Obey, the Information Communication Technology Consultant of National Emergency Management Agency (NEMA) urged Nigerians to embrace the use of social media platforms to prevent disasters in the country. In his presentation titled “NEMA and Social Media: How to Use Media Platforms for Disaster Management”, Mr. Obey said there was need for the public to use such platforms in managing disaster. He defined social platform as the use of new media for social interactions which include networking sites such as Facebook, Twitter, Flickr and Linkedln. He pointed out that more than five million Nigerians used the most popular site — `Facebook’ — to post pictures, communicate and update their status daily. “There is great potential for social media to provide real-time status of the situation on ground during a disaster or incident and could also be used to alert first responders in advance of any incident. He observed that the dream of NEMA is to promote and create awareness on the effective use of the social media to assist the government in mitigating disaster in the country. “We found out that social media platforms are good tools in aid of disaster management especially Facebook and Twitter are important platforms in elevating disaster. The impact of the social media in the Alu 4 episode is still fresh in our memory. Most of the suspects were arrested courtesy pictures displayed on the social media. The tweeted photos of the fighting between the Department of State Services (DSS) Operatives and Boko Haram suspects trying to escape from the DSS Headquarters in Abuja by Yusufu Onimisi Siyaka from Okene in Kogi State who was arrested and later released by the DSS after 12 days, and the several updates posted by the former Minister of the Federal Capital Territory and resident of the Asokoro District of Abuja where the Dss Headquarters is located, Nasir El-Rufai, via his Facebook and Twitter Accounts are demonstrations of the roles social media can play in bringing real-time status of disaster situations to the first responders. Observations revealed that Nigerian conventional media were taken aback by social media reportage of the Nyanya Motor Pack bomb explosion. The conventional media – TV, Radio and Print – were six to twenty-four hours behind in bringing the news of the disaster to the people. And in disaster, time is all that matters between live and death. More countries and organizations are adopting the social media strategy to fight terrorism. On Wednesday 30th April, 2014, the US State Department disclosed that it is widely employing social media as a method to counter online violent extremism from Al-Qaeda and others. The Center for Strategic Counterterrorism Commission (CSCC), established in 2011, last year produced more than 10,000 online posting globally, some of which included one of the 138 government produced videos. The US State Department has a global social media presence from Afghanistan to Vietnam. The platform ranges from Blogs to Facebook, Twitter, Flickr, Pinterest, YouTube, Instagram, Google+, and others. The US government also trains others, including victims of terrorism to adopt social media. According to the report, “BY sharing their stories victims of terrorism offer a resonant counter narrative that highlights the destruction and devastation of terrorists’ attacks. Workshops train victims to interact with conventional and social media, create public relations’ campaign that amplify their message, seek out platforms that help them disseminate their message most broadly to at-risk audience”. The report also revealed that in 2013, “violent extremists increased their use of new media platforms and social media with mixed results”. It added that social media platforms allowed violent extremist groups to circulate messages more quickly”, in spite of the fact that confusion and contradiction among the various voices within the movement are growing more common. Social media provides unique information that is not available over broadcast media. The latest news and eyewitness accounts are now almost exclusively found on social media platforms. This information is unfiltered, coming directly from the users first hand. This raw information is valuable and can paint a vivid picture of the effects of happenings on the ground in an emergency. Social media provides instant information, and it is possible to see from the other side of the planet, events that occurred literally seconds ago. Whereas previously this would have required large news teams with expensive equipment. But with social media, a simple cell phone connection will now provide this opportunity to any individual, in even the remotest of places. Information communicated by social media becomes more important, challenging and compelling when characterized by emergency. It wakes not only communities but nations to action. Instances abound to prove the effectiveness of social media in disaster communication management. However, our concern here is how and why Nigerian organizations and individuals should begin to use social media in emergency situations; we shall also highlight some of the key challenges in doing so; with emphasis on how social media can be used by affected communities. Social media encompasses many different types of activity, and is more than simply “Facebook”. In an emergency context, and more generally, citizens use different social media platforms. This usage varies depending on context. Nonetheless some platforms are globally more prevalent than others. They have a variety of different uses. A blog is a personal medium which provides space for more extensive sharing of information and experiences. In an emergency, expanded details on the situation can be provided to followers and supporters of the blog. Twitter is a tool which is ideal for sourcing breaking news. By utilizing hash-tags on search terms such as “Disaster”. It is possible to find out information about a particular place, issue or situation before traditional broadcast media has had an opportunity to report it. Moving beyond traditional text based communication; YouTube is one of many platforms that allow instant sharing of multimedia content. In an emergency this can be vital to directly show damages in affected areas or urgent needs. Facebook is a personal social media tool, but it also allows for networks to be created and nourished in the case of an emergency. Pages and Groups have been used in the past to raise fund, find missing people or just aggregate information coming from the affected areas. How can we use social media for disaster management in Nigerian Organizations? With modern smartphones it is possible to provide advanced data such as GPS coordinates, graphical data and videos on the ground to those carrying out needs assessments. It is also possible to harvest information floating on social media networks in the form of images and video content post-disaster to formulate a picture of which areas are most badly affected and where aid is most urgently needed. Globally, the number of social media users is set to surge to over 2.5 billion people by 2017, according to digital market research company e-Marketer. With such a huge proportion of people utilizing social media, it is becoming as common as email, telephone and radio as a communication channel. In a disaster, agencies can reach out to huge audiences instantly through social media networks and provide lifesaving messages that can be shared beyond their immediate followers. Word travels fast over social media than any other media. Social media is not simply a broadcasting tool. Almost all social networks allow for a degree of dialogue and this facility for two-way communication is an effective way of gathering information, starting dialogue and asking affected communities about their situation. Creating open calls for information can also be effective at mobilizing people to provide it, keeping in mind that expectations will need to be managed carefully in this case. As well as active information gathering, it is possible to gather information passively by monitoring activity on social media networks. Gauge what information out there might be useful for you such as location information or broken services in terms of what you want to know, and then monitor, assess and analyze the channels. Rather than simply sucking in all of the relevant information, passive information gathering requires an effective filter to determine relevant content from irrelevant. This can be difficult in an emergency situation due to the timescales involved as well as the resources that are required to do this effectively. This data can be plotted onto maps, aggregated for needs assessments, and many other things. It is one of the quickest ways of getting feedback on an aid agencies work which can help direct aid to where it’s needed most. In an emergency, communities want to engage with those who can help them. For example, at a basic level people who have experienced any kind of trauma simply want to share information. They want to tell ‘their story’ and let responders know what their issues are and the challenges they are facing in the hope that aid providers can help them and also provide information so that others can also be helped. In turn survivors naturally want to be listened to. Social media creates a space for this dialogue and fosters this two-way engagement. In fact, during the recent flooding in some parts of the country, communities have been seen to demand focused action based on the information they have provided. When using twitter to directly address an aid organization, rather hearing a general message explaining that ‘help is on the way’, people affected by crisis want to know, for example, whether a request for shelter to a particular village is being considered and if not, why not. In this regard, organizations must be prepared to manage expectations but also to be called accountable for what they are not able to provide. While moving from ‘broadcasting’ (i.e. messaging out) via social media to dialogue is important, organizations must also be timely and responsive to genuinely engage with communities. If no response is heard quickly, people may assume that their feedback has not been heard. Timing is everything. On top of this, the information an organization provides to communities has to be relevant for them otherwise it will be ignored. If this happens they will lose faith in the work of the government, aid organizations and the work they are doing. The expression of disappointment in the Federal Government by the parents of abducted Schoolgirls of Government Secondary School, Chibok, Borno State is a good example. Some parents have even lost faith in what they are doing and what the School authority is doing to search and rescue these innocent girls. Information or responses an aid organization or government gets back from communities may contain criticism. This is something the government or organization should be ready for on social media platforms and they should be prepared to deal with it humbly and appropriately. A comprehensive social media strategy and content policy can help with this, as well as an organizational learning strategy that can inform on-going programming. This can be done by sharing information as people want to provide feedback, but they also want information back once they have responded to requests via social media. Rather than simply restricting the concept of social media as something that occurs between an organization (or government) and the community, organizations can also broker relationships between community members. By providing a trusted, virtual platform for users to discuss issues amongst themselves and confidently upload information. Social media data can be utilized and mapped into a system that connects help needed with those citizens who are positioned to help in a crisis. For example, even by providing simple space on a Facebook page it is possible for citizens to communicate with each other and share their issues. It is in fact important to notice that local communities are the first responders and that they will offer and look for help no matter what international responder organizations do; being able to tap into the already existing dialogue and to support local efforts to respond needs to be part of the international community’s effort to support resilience. Even if it is not possible at any particular time to solve a problem, that doesn’t mean that nothing can be communicated. If work is planned, or new strategy are being developed for implementation, this is also worth informing citizens about, letting them know that in time things will be done. Showing timelines can be useful to provide information on the process and it shows your followers that you are authentic. When using social media, old messages get tired quickly. While advertising what you do is good, doing it too much can be annoying. Be timely and relevant with your outreach and try to include new information when it’s relevant for your followers. Inform them of the latest events and your latest news, but do not overload them. As it has emerged as an area of work, many organizations have simply appended social media to the duties of external communications staff. Effective use of social media requires a strategy, proper planning and above all dialogue with other users. This all takes time. Managing criticism, effectively dealing with controversial posts, and being an open door for all relevant stakeholders goes beyond communications and can touch on all aspects of an organization’s work, from research and learning to policy. Social media platforms are public spaces that can, depending on how they’re approached, bring about huge success or failure. With this degree of importance, the resources required for effective social media use should not be underestimated. In some cases employees have to interact with up to hundreds of users – much beyond the capacity of one communications staff member. Do not underestimate the resources required for social media. Some of the challenges of using social media include strategy and resources, trust and verification, security and privacy, and negative feedback. Social media has been a key success factor for many organizations and businesses around the globe. In the media and online, stories are continually being shared about how an organization has utilized social media to have a massive, exponential impact. This approach will more likely than not result in failure and could even have detrimental effects. Many organizations have either done this, or underutilized or ineffectively used social media in their emergency response. This comes at great risk of organizations under-resourcing the issue, inadequately supporting the communities they are speaking with and thus leaving them without information and support in a critical emergency situation. As pointed out earlier, a social media strategy is key for effective social media use. Such a strategy will need to take into account the context of the particular country and assess which platforms can be used towards which goals. Finding influencers and analyzing how they are using social media is also important – strategies, rather than starting from a blank canvas, often have to build upon the platforms, hash-tags or other elements used by key social media influencers in a particular context. Capabilities and resources must also be assessed. Due to the range of possible activities, effectively engaging with social media takes effort and time. Verification is a key challenge when using social media in an emergency situation. How do you know that the information you are receiving through a social media platform is reliable? If the information is not authentic it can be considered either partially or totally falsified. From our experience, total falsification is less common as usually there is a grain of truth in the majority of stories. Partial falsification occurs more frequently. Content is often exaggerated for effect or information is taken out of context and can subsequently prove to be misleading. It is true that social media is a powerful tool, but it is not a silver-bullet. Therefore, organizations cannot rely on it alone to communicate effectively in emergencies. Social Media must be part of a larger communications strategy. In some disaster situations in Nigeria we have seen low use of social media by displaced or disaster affected communities. This could be down to general technological habits or simply the lack of access to telecommunications services which social media relies on in an emergency. Perhaps, this accounts for why social media is less helpful in Nigeria rural communities. Also related to the above is the problem of poor service by service providers. When working through an overall communications strategy, it is also important to see how a social media interacts with traditional media such as radio and simply meeting face to face with communities. These elements are also vital at building trust. Recently, there has been increasing calls on Mr. President to visit the parents of the Schoolgirls of Government Secondary School, Chibok, Borno State. It is a communication strategy to build trust. Although, social media is not a silver bullet, there are many ways to verify content. Firstly, direct engagement with the user creating social media content is a very effective way of finding out more information and verifying its authenticity. Technical approaches can also be used, for instance by analyzing the integrity of image and/or video content. Alternatively, the presenters outlined how looking at the social network ID or other easily searchable information can shine more light on the authenticity of the content. Sometimes, reaching out to other users can be a good way to verify if a particular profile is legitimate or a scam. This can be done either via other users or also media outlets. During an emergency, information is often posted by a user about other individuals to help explain their difficult circumstance and seek help for them. Quite often content is included that is personal or private. This can be dangerous, particularly in situations of conflict and complexity. Releasing location information about vulnerable people without their consent is not advised as it can create unnecessary risk, and although users may have good intentions it is the responsibility of responders not to share this on, and also to educate users into using these platforms responsibly. It is almost inevitable that when working with many citizens on public platforms that some will criticize your organization or the work it does. Keep calm and do your best – it is, after all, inevitable and also healthy for your organization. Do not lose your cool and respond in a clear and concise way, addressing their points. Professionalism and a human attitude will reflect well on you in the eyes of users generally. There are things to gain from criticism. Firstly, try and understand where those who are being critical are coming from. Often the criticism points out genuine issues or communication problems that need to be addressed. If it does, take this on board. If the comments are misguided, work out why. Perhaps engaging and educating would assist or perhaps the fault lies with another issue beyond your control. If users continually respond aggressively, organizations should not waste resources trying to mend these relations. Such aggressive users would not ingratiate themselves with others either due to their attitude and thus will likely not be taken seriously. 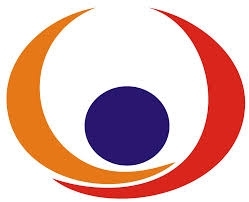 Governments at all levels, including public and private organizations should as a matter of priority encourage both victims and at-risk citizens to participate in the war against terrorism by being involved in training Nigerians to adopt the social media in communicating emergencies situations. Secondly, victims of terrorism should also be coached to accept social media as a powerful tool to share their stories. This could be done more effectively when the government and aid organizations continually organize seminars, workshops and symposiums to train victims of terrorism to interact with conventional and social media, create public relations campaign that magnify their messages, seek out platforms that can broadly disseminate their messages to at-risk citizens and residents as well as offer reverberating counter stories that will bring to forefront the destructive and devastation of terrorists’ attacks in the country. Nigeria must begin to employ the social media strategy to counter online violent extremism from Boko Haram and others. There is no time to waste! Nigerian security agencies should as a matter of security importance join the emerging trend by identifying the most popular social media platform in Nigeria and device means of using it to predict crimes. Researchers at the University of Virginia, US sponsored by the US Army have demonstrated that the collection and analysis of geo-tagged tweets can be used to predict 19 – 25 kinds of crimes. According to the report published in the Scientific Journal, Decision Support Systems, “Hidden in the Twittershpere are nuggets of information that could prove useful to crime fighters – even before a crime has been committed”. Social media is a powerful tool that can be used to great effect in an emergency situation, not only as a tool for aid organizations, but foremost as tools for and by affected communities. Organizations need to carefully consider and research the social media landscape of the country in which they are working before embarking on using it. Only through developing a holistic communications strategy that includes a variety of communications methods will the social media element be fully effective. When well-resourced it will allow organizations to interact with affected communities better than before. Social media also allows organizations to harness a great deal of information and data that makes sense out of what is happening on the ground, particularly in the initial stages of an emergency. With the correct strategy, planning and research it is possible for even inexperienced Nigerians and organizations to become effective users of social media in an emergency context and reap the benefits.